Leather Interior, MP3 Player, Turbo Charged, Aluminum Wheels, Hybrid, AWD. NSX trim, Curva Red exterior and Ebony interior. Warranty 6 yrs/70k Miles - Drivetrain Warranty; CLICK NOW!======: Acura NSX with Curva Red exterior and Ebony interior features a V6 Cylinder Engine with 573 HP at 6500 RPM*. ======EXCELLENT SAFETY FOR YOUR FAMILY: Electronic Stability Control, Brake Assist, 4-Wheel ABS, 4-Wheel Disc Brakes, Tire Pressure Monitoring System, Driver Air Bag, Passenger Air Bag Safety equipment includes Electronic Stability Control ======KEY FEATURES INCLUDE: Leather Seats, Hybrid, AWD, MP3 Player, Aluminum Wheels ======EXPERTS REPORT: Exhilarating acceleration is the standard for this class, and the NSX does not disappoint. More impressive is the way it can accelerate out of low- and medium-speed corners with full confidence in all conditions. -Edmunds.com. 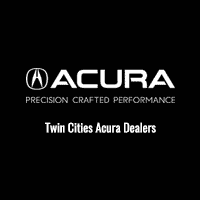 ======VISIT US TODAY: Bloomington Acura Subaru offers competitive pricing on our New and Pre-owned vehicles. Our service and parts departments are open early, late and even on Saturdays. We also carry 40 service loaners for your convenience. Check whether a vehicle is subject to open recalls for safety issues at safercar.gov Check whether a vehicle is subject to open recalls for safety issues at safercar.gov.